This document case is crafted to exacting standards from soft Nappa leather, entirely hand-woven for a distinctive finish. 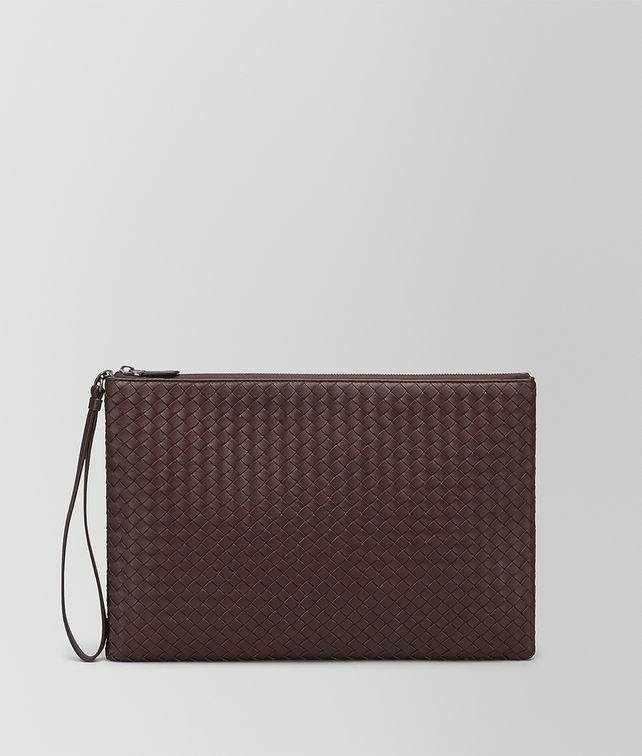 The design comes with a functional leather zipper puller that doubles as a wristlet and a cotton-lined interior. Width: 34.5 cm | 13.6"